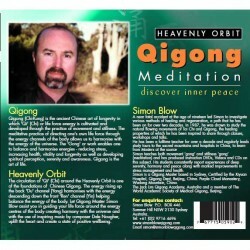 Styles of Qigong taught by Simon Blow. 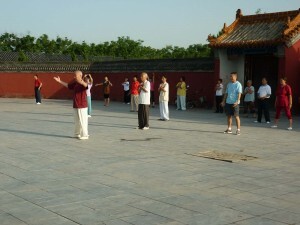 There are many different styles of Qigong, I’ve have been told thousands. 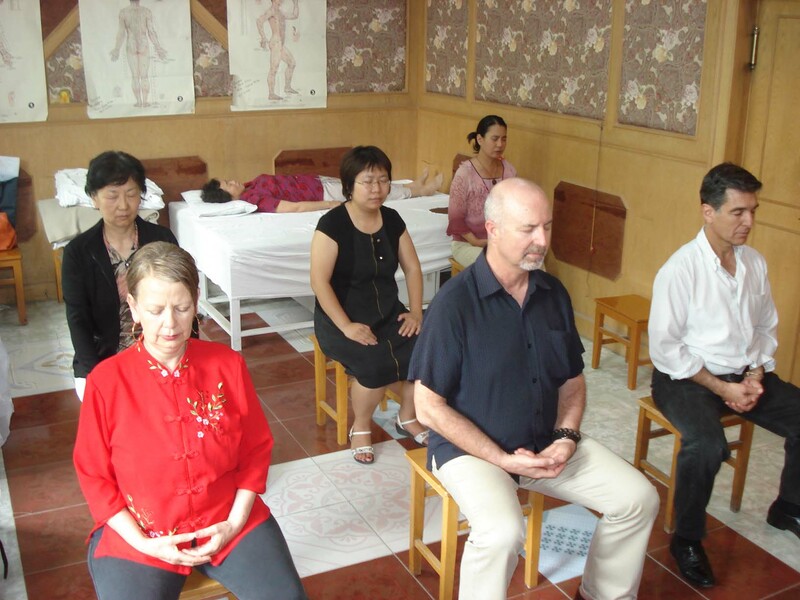 I have had the great opportunity to learn from Masters in Australia and in China, I have been trained and accredited by them and been given authority to share these techniques to contribute to the wellbeing of the human race. Classes generally run for one and a half hours. Starting with a standing meditation regulating the posture, breath and mind, and followed by joint exercises, stretching and form work. 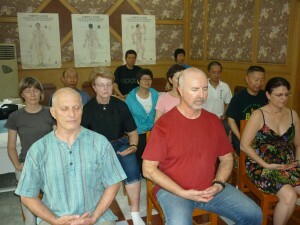 All classes finish with a sitting meditation. Taiji Hunyuan Zhuang (Longevity) Qigong. 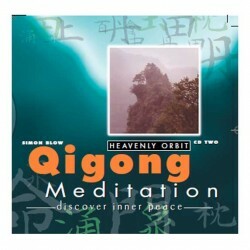 A classic Daoist set of flowing movements strengthening the energy around the Heavenly Orbit and the extraordinary channels. 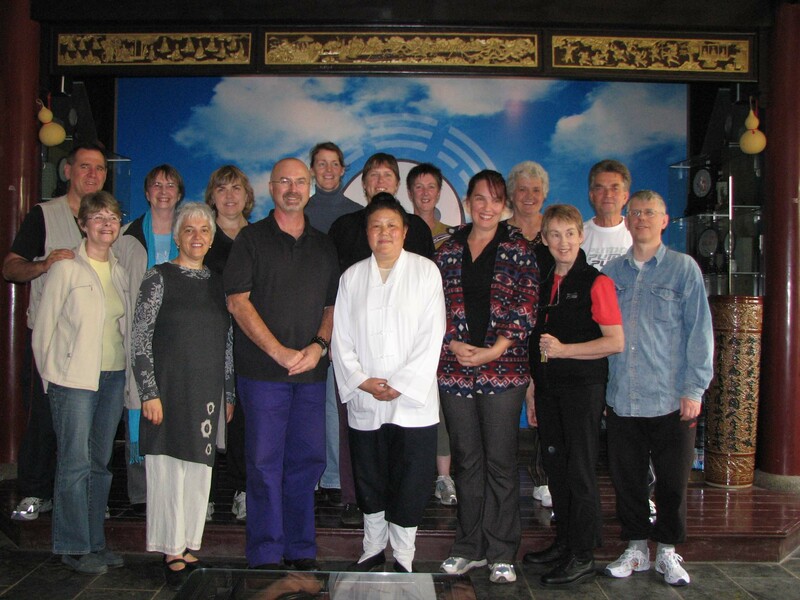 Learnt directly from the Abbott of the Purple Cloud Monastery at Wudang Mountain. 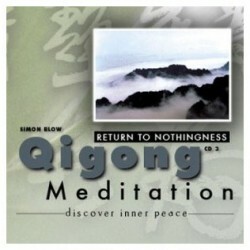 Featured in the book and DVD Absorbing the Essence available on this site. 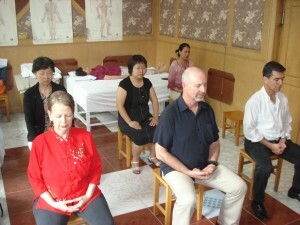 Ba Duan Jin, Nurturing Life Qigong Sitting. A more advanced set of Daoist energy cultivation from Wudang Mountain. Done in a sitting position the eight different sections stimulate the entire meridian system. Taking us to a deep, still meditation. 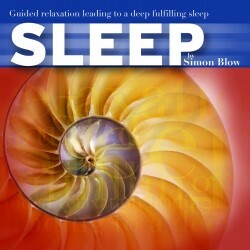 Featured in the book and DVD Absorbing the Essence available on this site. 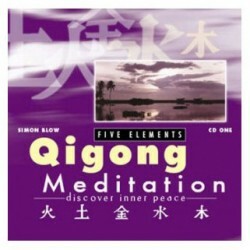 Five Elements Qigong Meditation is the perfect introduction to Qigong meditation or Neigong. 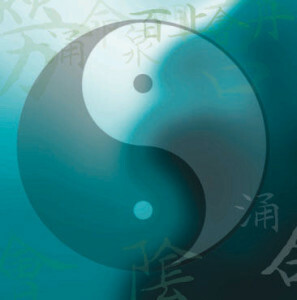 Harmonising the Five Elements, Fire, Earth, Metal, Water and Wood with the corresponding organs of the body, Heart, Spleen, Lungs, Kidney and Liver which is one of the foundations of Chinese Qigong. 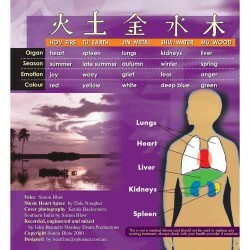 Using mind intention and positive images guide the colours and spirit of the five elements to harmonise with your internal organs Featured in the Audio CD available on this site.